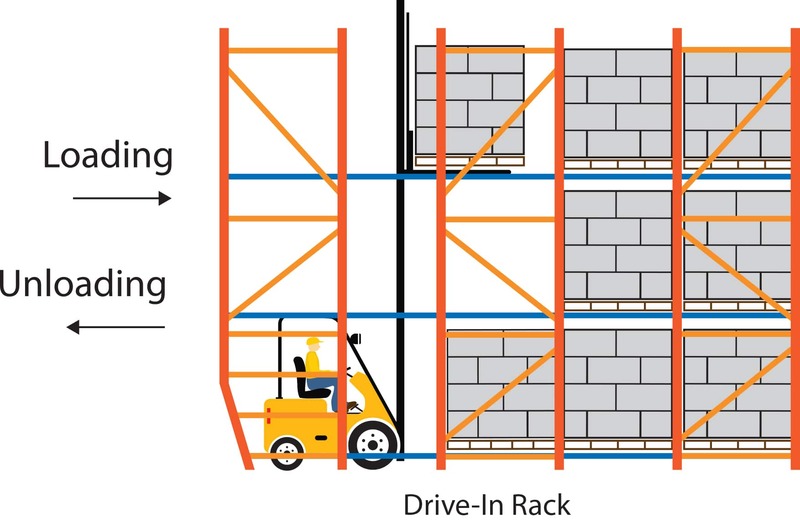 Drive-in and drive-through rack is designed for last-in, first-out (LIFO – drive-in) or first-in, first-out (FIFO – drive-through) inventory management. 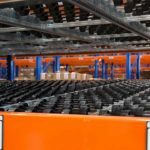 Pallets are stored on support rails that are attached to uprights and are accessed by a lift truck that drives in to the system with the load elevated to the height of the rail and placed in the selected storage location. 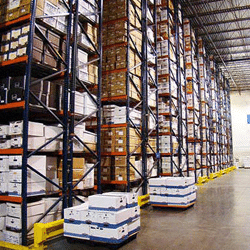 Picking aisles are eliminated allowing for higher density in limited spaces, such as freezer or cooler storage. 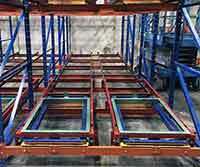 Since picking aisles are eliminated, drive-in and drive-through systems offer low selectivity. 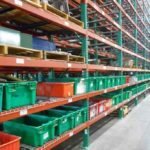 As low selectivity racking systems, they are ideal for storing large quantities of homogeneous products, products with long life spans, and products that require large, one-time moves. These products include furniture or fragile items that cannot be stored in block stacks. Read below to learn more on drive-in and drive-through product flows, typical applications and other considerations. If you'd like to speak with a representative regarding drive-in or drive-through racking systems, fill in the contact form on this page or call (800)595-0400. In drive-in rack, the lift truck loads and unloads by entering through the front of the system and then backing out, making it a LIFO option. 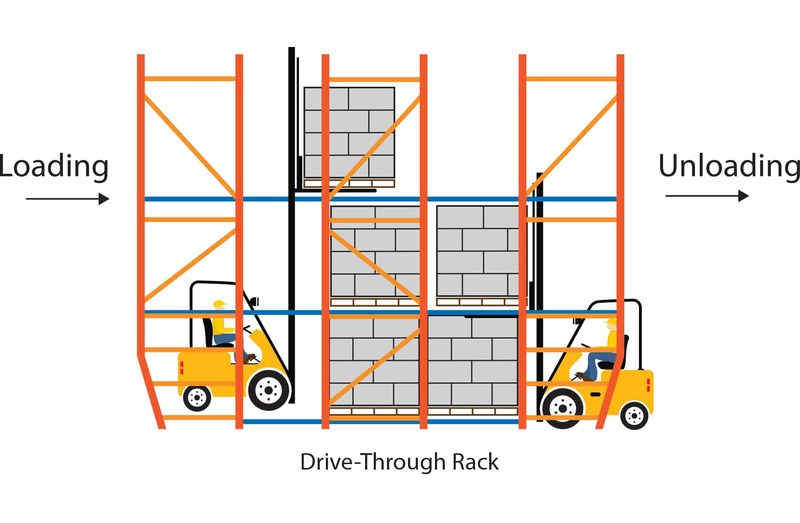 In drive-through rack, the lift truck is able to enter through both ends of the system for loading and unloading allowing for a FIFO storage option but requiring an additional aisle. 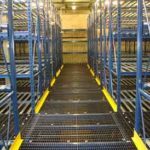 REB Storage Systems International can provide you with products to complete your material handling system, including decking, shelving, and mezzanines. At REB Storage Systems International, we combine our superior selection of quality products with professional, first-rate service. We will gladly assist you with selecting the right options for your particular needs and can provide additional support to help you complete your project. 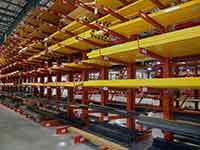 From rack system engineering to rack installation, we can help with all of the needs of your material handling operations. 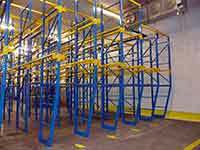 Selective Pallet, Cantilever, Flow, Drive-in, or Push Back: What is the Ideal Racking System for Your Warehouse? DO YOU NEED A DRIVE-IN OR DRIVE-THROUGH RACK? 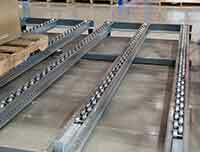 If you need a complete drive through rack system, we can help. We've been creating high density drive-in and drive-through storage systems for more than 50 years.